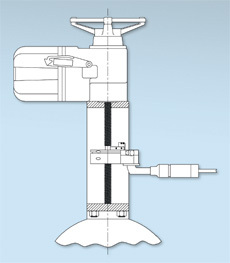 The Thread Removal Tool is used for the in-situ removal of valve stem threads. This permits the installation of the TTS Quick Stem Sensor (QSS) on a smooth stem area for direct, accurate measurement of stem torque and thrust. A procedure for use of the thread removal tool is supplied.